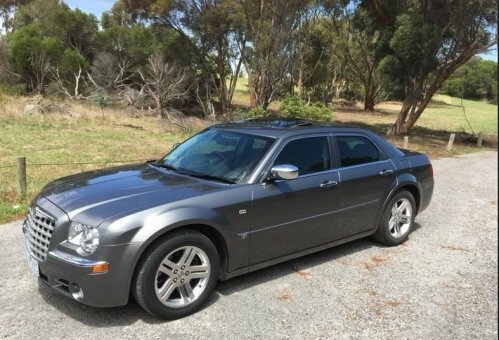 For sale is 2007 Chrysler 300c V8 5.7 Hemi. This a fantastic car, has always been garaged and is in very good condition. The pic of the rear window is only a reflection of the trees because it was shiny and sunny, there is nothing wrong with it or the tint. It only has 74,000kms, has been kept up to date with all of its services, only ever run on 98 octane fuel and has never been in an accident.